Flutist Julie Baker is an active performer and instructor in the Greater Cincinnati area. Dr. Baker holds the position of Adjunct Instructor of Flute at Mount St. Joseph University as well as teaching at the Music Academy at the Mount. 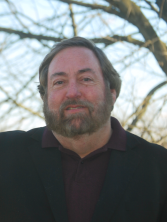 In addition to teaching, Dr. Baker has performed with numerous ensembles in the region including Cincinnati Chamber Opera, Queen City Opera, Blue Ash Montgomery Symphony, Richmond Symphony Orchestra and School House Symphony. Norlan Bewley, Low Brass Artist (trombone, euphonium, tuba), is one of the most sought-after low brass instructors in the area, specializing in performance and instruction on all the low brass instruments. His students pursuing music careers have been accepted into many major universities, often receiving scholarships from those institutions. 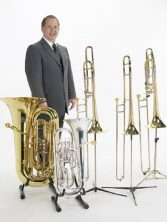 His website, norlanbewley.com , is one of the most visited low brass sites on the internet. Norlan has been teaching low brass for McCutcheon Music since 1999. As an educator, Mr. Gasaway was the Band Director at Hull High School in Hull, MA from 2011-2012, where he started a band program from scratch. He then went on to become the Band Magnet Director at Stivers School for the Arts in Dayton, OH from 2012-2018, where he directed bands in grades 7-12 and co-directed the Philharmonic Orchestra. He has participated in the Essentially Ellington competition, performed for TEDtalk events, performed at the OMEA Professional Development Conference in 2017, and opened for Motown legend, Smokey Robinson. Jay was a member of the Air Force Band with over 22 years of experience playing around the world, He also traveled with the Glenn Miller Orchestra as lead trumpet and appeared as guest musician with both the Cincinnati & Cleveland Pops Orchestras. Jay has been a trumpet instructor since 1977. 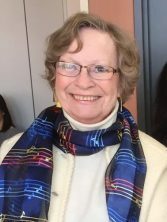 With a B.S.in Music Education, and Master of Music in Flute Performance degrees from CCM, Nancy has been teaching flute for many years. She performs with the Dayton Area Harp Ensemble, Sinclair Community College Wind Symphony, Dayton Playhouse, and Miami Valley Symphony Orchestra. 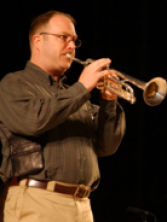 John Harner is a freelance trumpet player, music educator, clinician, and conductor that performs at clinics and concerts throughout the United States. For 25 years John was a music teacher in the Xenia Community Schools, and for 4 years at Dayton Christian Schools where he conducted High School Concert and Symphonic Bands, Middle School Bands and Choirs, the Marching Band, and Jazz Bands. 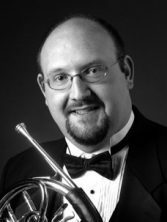 He is the Orchestra Director at Patterson Park Church Beavercreek, and Artistic Director of the Dayton Jazz Orchestra. 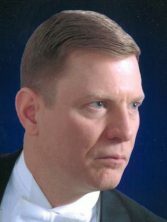 Joe has over 30 years of experience performing in professional orchestras and bands. 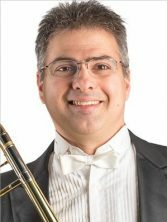 Some of his professional credits include performances with the Cleveland Pops Orchestra, Cincinnati Pops Orchestra, Dayton Philharmonic Orchestra, Dayton Ballet Orchestra, Dayton Bach Society, Middletown Symphony, Whitewater Opera Company, Dayton Philharmonic Concert Band, Springfield Concert Band and 31 years as bassoonist with the Springfield Symphony (OH) Orchestra. 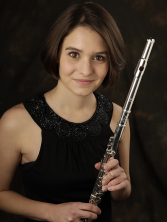 Connie Ignatiou is currently the 2nd oboist for the Dayton Philharmonic Orchestra and is also pursuing her Doctoral of Musical Arts degree from the University of Cincinnati, College-Conservatory of Music where she studies under Dr. Mark Ostoich. Her Master’s degree was received from University of North Carolina at Greensboro, studying under Dr. Mary Ashley Barret, and her Bachelor’s degree from Eastern Illinois University, studying under Mr. Joseph Martin. 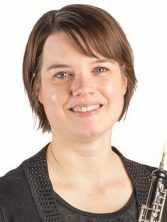 Haley earned her Bachelor of Music Performance degree in Clarinet from Wright State University in 2000. 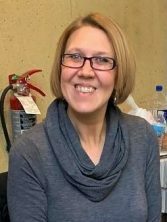 She has been teaching clarinet in the Dayton area for over 20 years and performs regularly with many groups including Sinclair Community College Wind Symphony, Miami Valley Symphony Orchestra, Wright State University Symphony Orchestra, Kettering Praise Orchestra. Haley has worked at McCutcheon Music for many years and has often been a featured performer at McCutcheon Music recitals in the Renaissance Auditorium of the Dayton Art Institute. She enjoys working with students of all ages and ability levels. 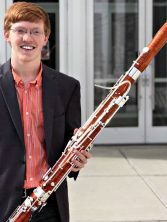 Curtis MaGee is a senior bassoon performance major at Wright State University. He performs with the jazz band, Chamber Players, Chamber Orchestra, Men’s Chorale, and Bassoon Trio/Quartet. 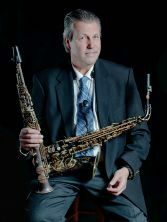 He has studied under Joe Hesseman and Bill Jobert, as well as performing in many masterclasses at Wright State, Bowling, and Glickman-Popkin. Curtis placed 2nd in his division of the 2018 BGSU Double Reed Day Solo Competition. He also has extensive experience in teaching saxophone. 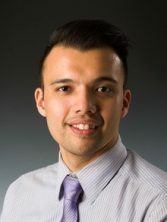 When not performing or teaching Curtis enjoys cooking, seeing stand-up comedy, playing frisbee, connecting with friends, and spending time with his fiance, Emily. Hal Melia plays woodwinds, keyboards, and EWI, sings, writes, arranges, and teaches all kinds of music. His premier CD, WADUYATHINK, was released in 1993 on Positive Music Records and was a top 25 Gavin jazz CD. With a Masters Degree in from the University of Cincinnati College-Conservatory of Music, Hal is now Associate Professor of Music and Director of Jazz Studies at Central State University in Wilberforce, OH. He has appeared in several major motion pictures and on many CD’s as a guest artist and soloist over his long career. Hal is in high demand as a concert performer, clinician, and recording artist. 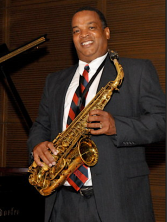 Dr. Morris teaches saxophone performance and is the director of the Dayton Jazz Ensemble. He also serves as the associate director of athletic bands and coordinates jazz studies. Dr. Morris has been active as a performer, educator, and clinician since he began his college years. 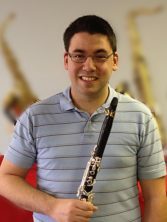 He has been a concerto/aria finalist at each university he attended, and he has performed as a soloist across the country and in South America. Dr. Morris is also active as a marching band clinician, drill designer and color guard instructor. Matt Snyder received his Bachelors in Music Performance from Wright State University. Matt’s most memorable experiences in college include membership of the WSU Wind Symphony Leadership Council, serving as principal clarinet of the College Band Directors National Association, earning the Clark Haines “Most Outstanding Musician” award in the WSU Wind Symphony, receiving “Honorable Mention” in the Music Teachers National Association competition, and earning first place in WSU’s Honors Recital. Sean Vore is currently Assistant Principal Horn of the Dayton Philharmonic and a member of the Utah Festival Opera and Theatre Company. In addition, he maintains an active freelance and teaching career in southwest Ohio, Indiana and Kentucky. As an orchestral musician he has performed in orchestras throughout the United States, Europe and Asia. Mr. Vore received his Masters of Music in Horn Performance from the University of Cincinnati College-Conservatory of Music and a Bachelors of Music from Mannes College of Music in New York.